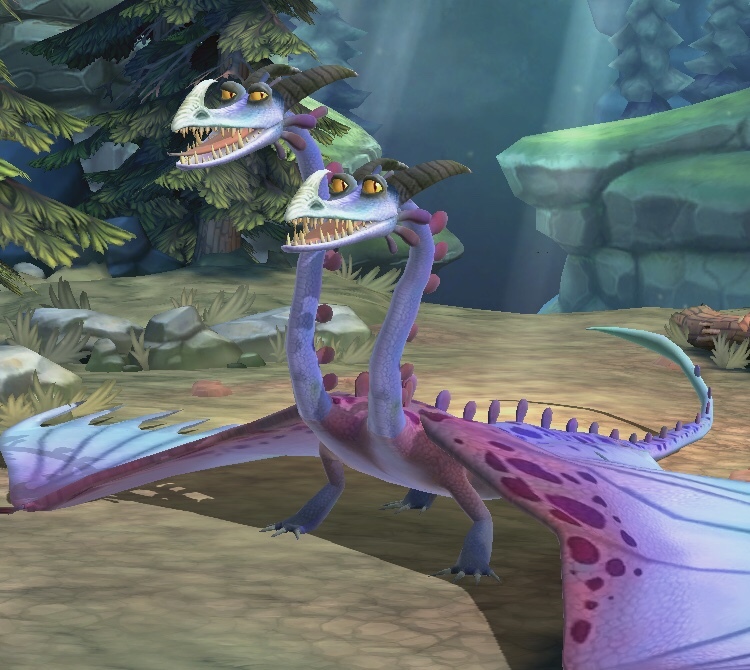 Dragons: Titan Uprising is the latest iOS and Android game tied to the How to Train Your Dragon series. It coincides with the release of the third movie, The Hidden World, which is coming out this month. The game is a typical free-to-play match-3 game, but there are some things you should know going in. It will also cost a lot of money to make progress at any decent speed, so if you don’t want to spend money, you’re going to have to have patience. Otherwise, you can try these tips and tricks to help you survive. See my Dragons: Titan Uprising review here. – One way this game stands out from others is that where your matches are on the board affect the battle. When you match three or more gems, they fly upwards, hitting any enemy dragons directly above them. If there aren’t any above them, you’ve mostly wasted the match. But sometimes you have no choice. – Unlike other match-threes, the new gems come up from below instead of dropping from above. Keep that in mind when you make your matches. – Try to match four or more at a time to create super gems. They’re much more powerful and will do more damage. – Try to set off matches that include super gems instead of just tapping a super gem on its own. That extra match will do some extra damage. – Different dragons have different special abilities that you charge by making matched of that color. Some heal, some poison, some do group attacks. Try to find a good mix of abilities so you have a better chance of surviving. – Different colored dragons have strengths and weaknesses to other colors. At the beginning of each match, the game shows you which colors are best against each. It also tells you the recommended color for that battle. In general, Blue is strong against Red and weak against Green, Red is is strong against Green but weak against Blue, and Green is strong against Blue but weak against Red. Then Yellow and Purple are strong against each other. – If a dragon dies in battle, it’s fine as long as you beat all the waves. The dragons will be revived automatically after the match. But if all five dragons die, you lose the battle. – Dragons don’t earn experience battling, unfortunately. The only way to level them up is by training them with fish. You also need to feed other dragons to them. You also need dragon scales in the right color. So you’re going to need a *lot* of fish and a *lot* of dragons and a *lot* of scales. Like I said above, this game requires either a lot of money or a lot of patience. – Make sure to use the cards you earn to win more dragons. Unfortunately, they all start as babies and need to be leveled up. – Make sure to upgrade your Hatchery, Treasury, and Fishery as soon as you’re the right level and have enough gold for it. Also, check in every once in a while to collect everything. You can set up notifications if you want to be sure you don’t miss any. – If you’re having trouble with the main storyline levels, try the side quests. You can also earn more items from there to help you along. – If you’re also having trouble with the side quests and need more fish, eggs and coins, try replaying old quests. You earn a nice amount of coins and fish and they should be quick wins. But they do cost energy, of course! – You unlock the Breedery at level 16. Then you can mate two of your dragons to try and get a new one you haven’t seen before! – Again, have patience. Or spend all your savings. Up to you!